Maximum loan amount: Every lender has a maximum loan amount to offer. The fundamental step to check if your need matches their offer. Purpose of loan: you have to first be very clear about what you want to fund with the loan for chartered accountants, be it to rent or buy a property or equipment, hire staff, etc. Rate of interest: Needless to say, low rates mean lesser monthly expenditure. Further, the interest rates help you calculate the EMI (Equated Monthly Installment). Repaying capacity: the EMI may take up to 40% of your monthly income, so it is advisable to ensure sufficient provisions and funds for repaying on time. EMI schedule: many lenders offer the flexibility of letting you choose your EMI schedule. You can mark down your EMI dates to prevent any defaults. Tenor: the tenor of this loan normally ranges from 12 to 60 months. The borrower can choose a suitable tenor after accessing his/her financial state. Eligibility: the loan eligibility calculator accessible online is a great tool to evaluate the amount you can borrow. The CA loan eligibility criteria of a particular borrower depend on factors like income, credit score, etc. Documents: the document checklist for a Bajaj Finance loan for chartered accountants includes salary slips, bank statements, educational certificates, identity and address proof, etc. Penalties and charges: you might be charged a minimal processing fee. However, penalties may be levied on defaults, late payments, and so on. Pre-approved offers: Lenders, in their attempt to reward the loyal customers, often offer lucrative deals with lower interest rates. Flexible loans: the loan amount in disbursed in the form of a line of credit. You can make multiple withdrawals and deposits. The interest is charged only for the amount utilized. You repay the principal at the end of the tenure. Easy processing: this tailor-made product does not require a collateral guarantor. Hence, you can expect a quicker processing time and easy documentation. There should be 4 years from your Certificate of Practice (CoP) till the date of loan application. The applicant should own a house or office, or his parents should own a house, in a location where Bajaj Finserv operates. 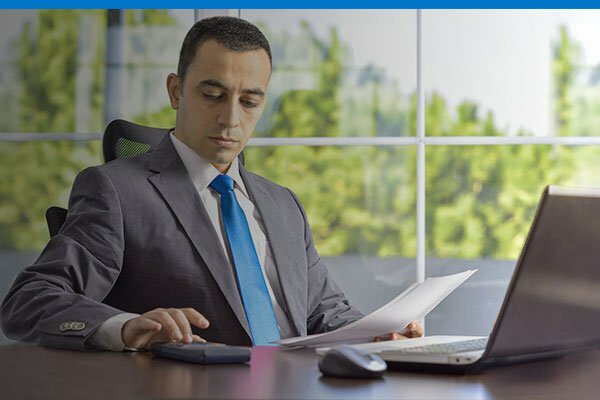 The documents required for applying for a Bajaj Finserv Business Loan for CAs include, KYC documents, CoP certificate, proof of ownership of one property, etc. You may also need to provide relevant financial documents. The interest rate is 14-17%. The borrower will also be charged processing fees, which is 2% of the loan amount for salaried individuals. Also, bear in mind that EMI bounce charges are Rs. 1000 per bounce, and the penal interest is 2% per month. This loan offered by Bajaj Finserv involved minimal documentation, and thus the applicant need not undergo the hassles of elaborate paperwork. Also, there are no guarantors or collateral required, that accelerates the application process. You can also enjoy exclusive pre-approved offers that add more value to their business. What’s more, the online access to your loan account makes it convenient to access your funds whenever you need them.